As a small family-owned winery in Chile, Kingston Family Vineyards wines can be hard to find. Named for the corral next to the Kingston farm house, joining our Old Corral Club is the best way to enjoy our wines. Delivered right to your door in the Spring and Fall, club members receive our wines before we introduce them to the rest of the world. 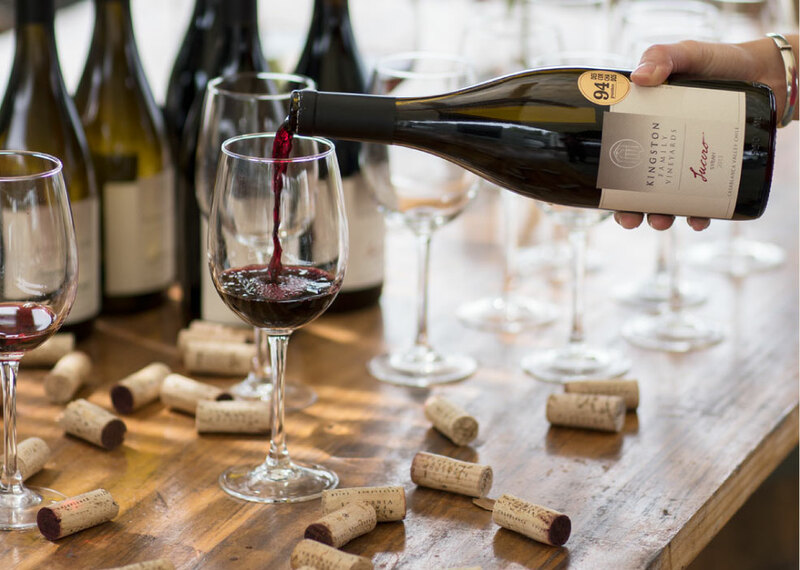 Club members also have exclusive access to library wines and special club-only bottlings including our CJ's Barrel Pinot Noir and CJ's Barrel Chardonnay, complimentary private tours and tastings at our vineyard in Chile, and 10% off all wines. We have no membership fee; you pay only for the wines in your shipments. Members joining at the Especial level (12 bottles per shipment) also receive free shipping. Once we receive your Old Corral signup, we'll send your first shipment with our newest wines plus a sampling of some of our favorite library and club-only wines. After this initial welcome package, you will receive your shipments in the Spring and Fall of each year. We look forward to sharing our family's wines and welcoming you to the Old Corral Club!